Long Island NY home prices rose for the first time in 10 months, according to the S&P/Case Shiller composite index released recently, an encouraging sign the battered housing sector is starting to stabilize. 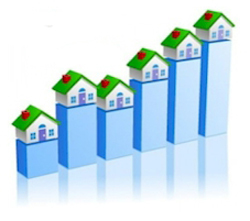 It was the first time home prices have gained since April 2011. That gain was itself an anomaly in a string of declines stretching back to May 2010. Yale economics professor Robert Shiller, the co-creator of the Standard & Poor’s/Case-Shiller home price index, believes the Long Island NY housing market is likely to remain weak and may take a generation or more to rebound. Shiller, the co-creator of the Standard & Poor’s/Case-Shiller home price index, told Reuters Insider a weak labor market, high gas prices and a general sense of unease among consumers was outweighing low mortgage rates and would likely keep a lid on home prices for the foreseeable future. David Blitzer, chairman of the index committee at Standard & Poor’s, cautioned that while there were some pieces of good news in the report, some areas saw home prices still continuing their decline. The S&P/Case Shiller composite index of 20 metropolitan areas gained 0.2 percent in February on a seasonally adjusted basis, matching economists’ forecasts. Seven of the cities saw home prices drop on a seasonally adjusted basis, while home prices in two cities were unchanged. On an unadjusted basis, 16 of the areas slumped further. Home prices in the 20 cities fell 3.5 percent year over year, moderating from the previous month’s decline of 3.8 percent.